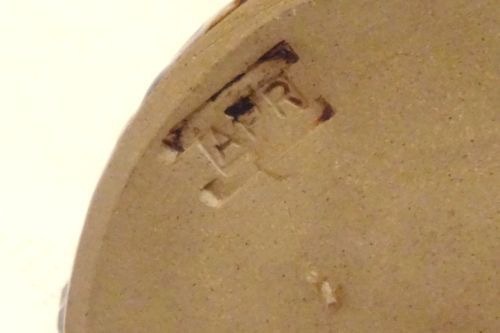 Does anyone recognise this mark, please? Small vase stands about 10.5 cm tall. Mark doesn't look familiar but isn't there impressed areas within the outer dark impressed shape? if that makes sense. Looks like STC. Not a mark I've come across before. That makes perfect sense, studio. Likening it to an 'omega' sign was my lame attempt to describe it succinctly. "STC"? Hmmm, I see what you mean, Naomi.